Groningen is growing fast; not only in terms of inhabitants, visitors and economical activities, but also in size. That is, Ten Boer and Meerstad will become part of the municipality of Groningen in 2019, which will expand the territory of the municipality considerably. This will coincide with the introduction of the Environmental and Planning Act, which will integrate all rules that consider the physical environment. And as if that is not enough, the relationship between government and citizens is changing; the government relies more on the strength and self-sufficiency of the people. These developments of growth, legislation and changing relationships, are reason enough to make an environmental vision for the city of tomorrow – a new vision for Groningen and its region, a municipality with perhaps more than 250.000 inhabitants. The Next City is about the future of the municipality of Groningen. 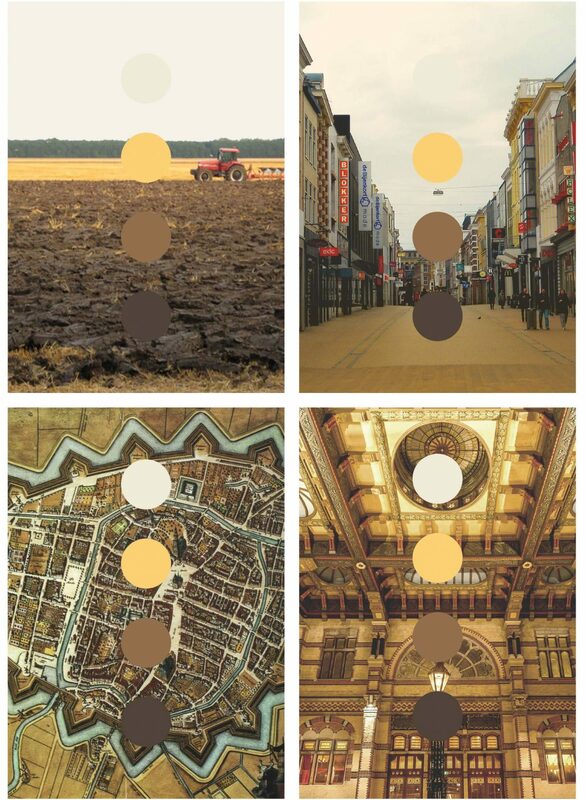 What will Groningen look like in 20 or 30 years, if it continues to grow in a shrinking environment? How much, and what type of housing will be needed? Do we need housing in the city, in the green suburbs or in the residential areas around the city? Is the growth that innovative and wealthy newcomers are bringing to the city the key to dealing with poverty and youth unemployment? Will we be able connect the two faces of the city, that of the privileged and the disadvantaged? Will the city provide enough space for everyone to participate and develop themselves? Can people become old together in a sustainable and green city? What would the city look like if everyone has an electric, driverless car and is able to produce energy at home? How will the growing city maintain its quality of life? An atlas was constructed using the aforementioned questions and the five themes of Energy Transition, Growing City, Growing Employment, Everyone Participates and Livable City. First, the current situation was investigated on regional scale, focusing on the role and responsibility that the Municipality of Groningen has towards the rest of the region. Consequently, the opportunities for development were mapped on the scale of the city. This showed that there is a big opportunity in developing along the city axes. Here is space for development, and in these areas, districts can be interwoven more easily, an intermediate scale between residential and working areas can arise and investments can be made to create attractive recreational routes. 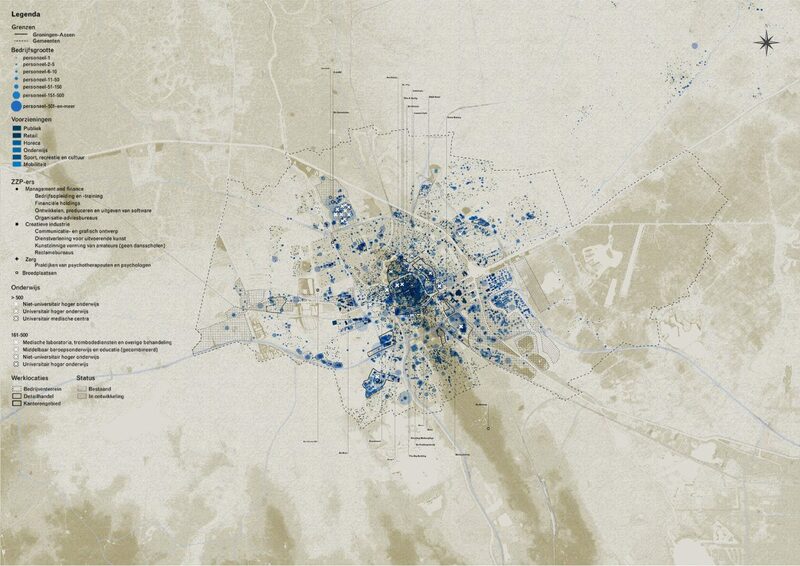 Ten maps were created to describe the development opportunities and form the base of The Next City. These maps are constantly in progress, just as the city itself. The municipality of Groningen is the economical center of the region, with most of the interaction going southwards. Although not prevalent, the daily urban system can be seen as stretching as far as Germany and Amsterdam. The region of Groningen, with its gas fields and potential for renewable energy, is a preeminent energy landscape and will see large transformations as a consequence of the energy transition. The city of Groningen is growing in a shrinking region, leading to densification in the city and isolation in the rest of the region. 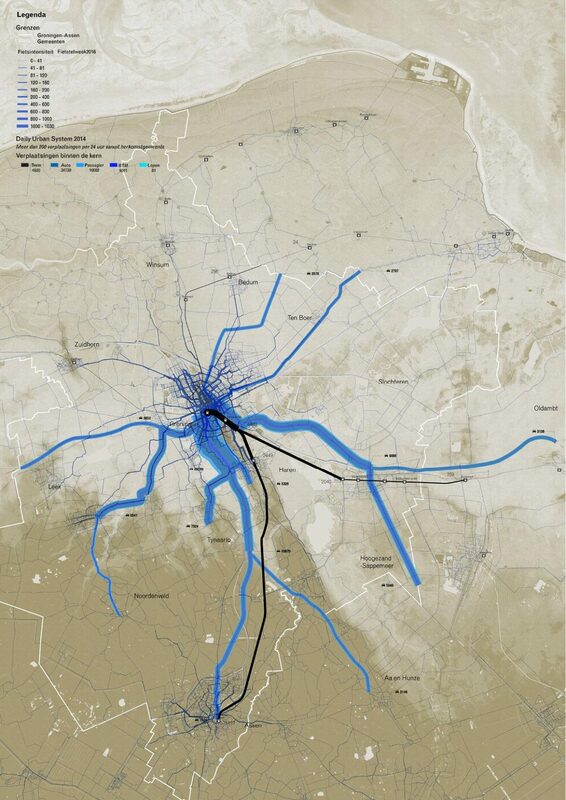 Distance and physical barriers contribute significantly to the socio-economic situation of the city and the region. Adapting to climate change can be done by enhancing the recreational network of the region and public space in the city.